Bathroom mini-update 4 - Totally Should! 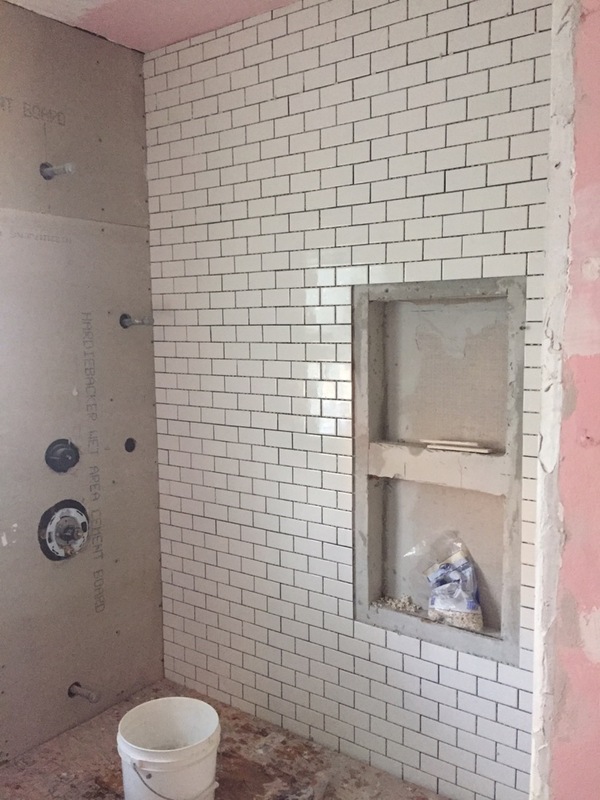 Not much more to share yet, but here’s a shot of what the shower looks like today. I think it’s going to be pretty stylish! I’ve said it before and I’ll say it again, Kaitlyn has a good eye. We’ve been told that the end of this is going to go pretty quickly, possibly finishing on Friday. That’s super exciting! 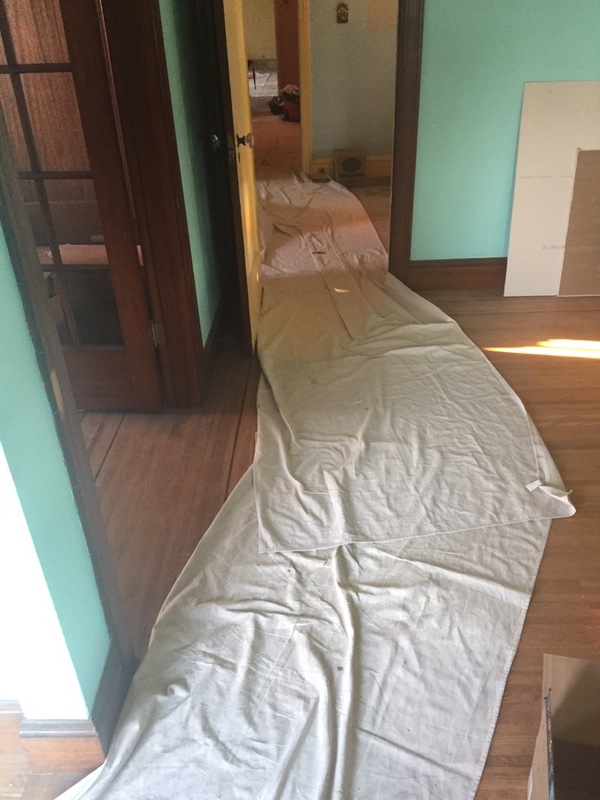 It will let us get started on the floors earlier than we though, and might let us get into the house as early as the first week of October, including a week for floor refinishing and a week for fumigation. I have to admit that I’m just a little nervous at this stage in the bathroom remodel. I’ve never done this before so I don’t have a great sense of how much work has been done compared to how much is left, but we have paid the vast majority of the contract payment as of our passed inspections, so I’m really trusting their good word that they will finish the job well and on time. I’ll have to talk to some people about how best to structure the kitchen contract (a year or more down the road) to limit my anxiety on that. If these folks do well then they might get hired for that too, so I’m not super worried that they won’t deliver. They seem to be doing a great job. I came in, and they had some cloth down to protect the floors as they walked in and out from the bathroom, and they are leaving things clean and orderly each night. It’s probably standard practice, but I appreciate seeing it and knowing they’re taking steps to get things right all around.